The Ocean Princess is located in Ocean City, Maryland; the White Marlin Capital of the World, just 5 minutes from the inlet and the ocean. 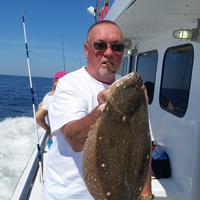 We provide some of the finest fishing in the Mid-Atlantic region aboard Ocean City's largest and fastest head boat. Experience Ocean City from a whole new perspective. Climb aboard the Ocean Princess for some of the best head boat fishing you'll ever experience. For reservations and information, call (410) 289-6226. Happy fishing! 5 ½ hour wreck fishing beginning May 3rd, Friday, Saturday and Sundays thru May 12th. Boat departs at 8am and returns at 1:30pm. Cost is $55 per adult and $28 for kids 12 and under. This trip is mainly geared toward taug fishing. No fishing license required free bait and free parking. BOOK ON LINE or call 410-289-6226. 7 hour wreck fishing trips May 16th thru May 23rd. Boat departs at 7am and returns at 2pm. Cost is $65 per adult and $28 for kids 12 and under. No fishing license required free bait and free parking. BOOK ON LINE or call 410-289-6226. 12 hour wreck fishing trips May 15th, May 24th, May 31st Boat departs at 6am and returns at 6pm. Boat will be restricted to 35 passengers and reservations are required. Cost is $110 per person; credit card is required for reservations. BOOK ON LINE or call 410-289-6226. 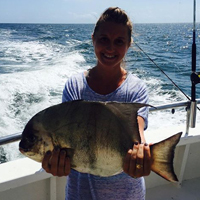 Saturday and Sunday two 4 hour wreck fishing trips 8am to 12 noon and 1pm to 5pm. Cost is $44per adult and $24 for kids 12 and under. No fishing license required free bait and free parking. BOOK ON LINE or call 410-289-6226. 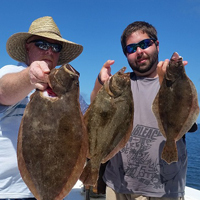 5 ½ hour fishing trips May 27th through June 16th. Boat departs at 8am and returns at 1:30pm. Cost is $44 per adult and $24 for kids 12 and under. No fishing license required free bait and free parking. . BOOK ON LINE or call 410-289-6226. Two 4 hour trips daily. Morning trip departs at 8am and returns at 12noon. The afternoon trip departs at 1pm and returns at 5pm. Cost is $44 per adult and $24 for kids 12 and under. Summer schedule ends September 1st. . No fishing license required free bait and free parking. . BOOK ON LINE or call 410-0289-6226. Looking for a unique gift? Give an Ocean Princess fishing trip. Gift certificates available in any denomination. Purchase online or call 410-289-6226. PLEASE READ info BELOW before using a coupon or promo code. When booking online you MUST enter a promo code to receive a discount, NOT AT TIME OF CHECK IN. NO EXCEPTIONS. OFFER VALID May 25th & 26th and June 17th thru September 1st ( All trip times) Discounts only apply to 4 Hour trips.